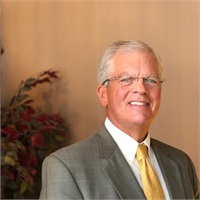 David Stocker | Wealth Strategies, Inc.
Dave grew up in Western Ohio and East-Central Indiana. His experiences growing up on a farm shaped his work ethic and laid the foundation for his professional career. Under Dave’s leadership, the firm has developed a holistic four-part Wealth Strategies Planning Process™ to help it better understand the unique issues facing clients and their families. That understanding is then put to use to create a unique plan customized to each client’s specific circumstances. This process utilizes cutting edge multidisciplinary advice, encouraging other professional advisors, such as accountants and estate planning professionals, to participate in the development of the client’s plan. In addition to personal financial advisory services, Dave also addresses public, professional, and private groups on current strategies for financial, retirement, and estate planning. Dave lives in Yorktown with his wife Sandy, his two children Michael and Ashley, and the family’s Great Dane, Autumn. Dave and Sandy devote their spare time to their children and their church family. Sandy is an avid gardener and scrap book artist, while Dave spends time maintaining their property. They both enjoy reading and entertaining friends and family at their home. Dave is also both a racing and scuba diving enthusiast. In the past, he enjoyed flying an airplane and even obtained a pilot’s license.